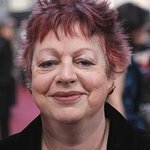 Comedienne Jo Brand will be ‘doing herself proud’ during Sport Relief by taking on the BT Sport Relief Challenge: Jo Brand’s Hell of a Walk, a brutal ordeal which will see the 58-year-old attempt to walk an incredible 150 miles in just seven days. The route will see her travel coast-to-coast across the country from Hull to Liverpool. The challenge is sponsored by BT, a long-term supporter of Comic Relief challenges since 2009. The toughest challenge of Jo’s life will see her swap the relative comfort of the stage to endure day after day of tortuous trekking. She faces a relentless schedule, walking from dawn until dark climbing up to 1,530ft as she crosses the Pennines, which also brings high chances of snow and ice. Starting in Hull on Friday 22nd January and finishing in Liverpool on Thursday 28th January, Jo is likely to face swollen and sore feet, blisters and missing toenails. Tackling 60,000 steps and burning around 6,000 calories each day, Jo’s whole body will be aching and the pain of having to repeat this every day will test her to the limit as she exhausts every last ounce of energy to reach Liverpool. 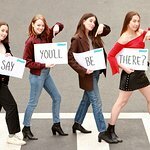 Starting out her career as a psychiatric nurse, Jo has spent many years since her rise to fame raising awareness about mental health issues – so it is fitting that during her journey she will highlight the work that Sport Relief does around mental health and issues that impact women and girls across the UK and the world’s poorest communities. Jo will be joined by famous friends and people helped by funded Sport Relief projects along the route to spur her on. Jo said: "When I first started training for this challenge, I didn’t realise I was not the national fitness icon I’d always believed myself to be. My body is a temple …it’s big and it doesn’t move! The realisation is gradually dawning that I have to walk a very, very, very long way, with many days back- to- back using only my poor little legs to carry me – and that’s a gruesome thought. But the hope is that the walk will raise much needed funds for people who really deserve it, which will keep me going. The money raised from Jo’s challenge will be spent to help transform the lives of some of the most disadvantaged people both at home in the UK and across the world’s poorest communities. The BT Sport Relief Challenge: Jo’s Hell of a Walk isn’t the first Sport Relief Challenge BT has sponsored. From John Bishop's Week of Hell, David Walliams' epic swims and who could forget Davina McCall's brave run, cycle and swim across the country, BT have been there all the way. All the ups and downs of Jo’s challenge will be captured for a BBC documentary, to be broadcast in the run up to Sport Relief Weekend, which is taking place from Friday 18th to Sunday 20th March.